Friday 16-20°c High level clouds. Mild. 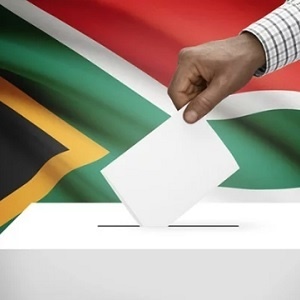 An application to have South Africa's electoral laws amended before the May 8 elections to allow independent candidates to run, has been dismissed in the Western Cape High Court. ANC leader Cyril Ramaphosa has ventured into the stronghold of the Economic Freedom Fighters in Seshego, Limpopo, with less than a month to go before the national elections on May 8. The Electoral Commission of South Africa has ordered the DA to "cease and desist" from saying that GOOD leader Patricia de Lille was fired as the mayor of Cape Town, and it has ordered the DA to publicly apologise to De Lille within three days. Former president Nelson Mandela made a mistake by prioritising RDP houses, EFF leader Julius Malema has said.